1945 — The Shoemaker. Watercolor and gouache on canvas. Social Realism style. 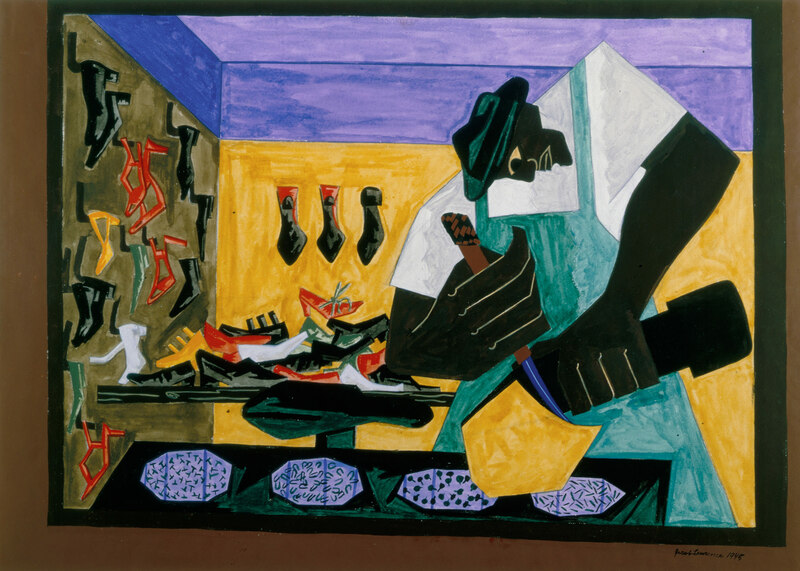 Jacob Lawrence (1917-2000). The Metropolitan Museum of Art, New York City, NY, USA.